When you attend any concert may have felt the vibrations rumble inside you. But you no more need to go live at a concert to feel a music inside. 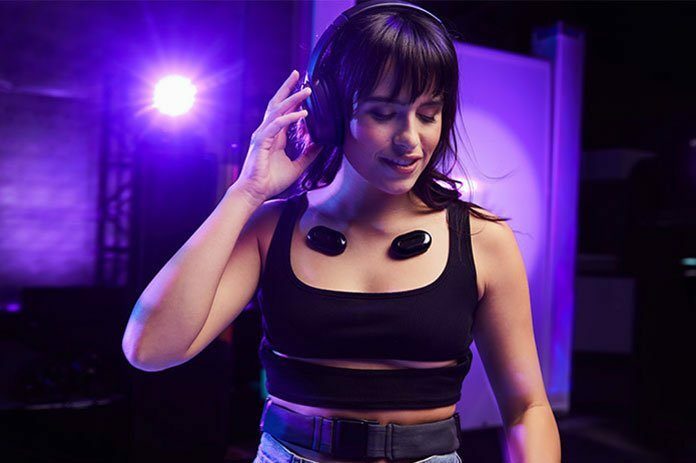 Because of a revolutionary technology, BodyRocks, will connect you to the music by translating sound into vibrations. BodyRocks is dedicated to producing vibrations to enhance the feel of music immersed within you. It will deliver a fully immersive, nuanced, and startling music-listening experience anywhere. While walking on the streets, at home, club, a concert or festival, discretely used by anyone. This BodyRocks system includes BassBelt, Haptic enabled stones and other internal features. This device supports multi-genre and has custom vibration settings. The entire BodyRocks system is IP68 water and dust resistant. It carefully curated with an exceptional immersive experience and have 4-6 hours of battery life. It analyzes individual audio tracks and transforms the signal into physical vibration. Novel music system will enable you to isolate particular audio tracks such as guitar, drums or frequency ranges into an amazing sensation. It is designed with a dedicated app. With respect to location, the BodyRocks app lets you control where your haptic enabled stones are places. Also, it monitors the intensity of the vibration. The BodyRocks system is a low-profile, lightweight music-enhancing system to carry anywhere you go. It is designed with a BassBelt which will deliver rhythmically Bass. It is devised with transducers that drive vibration patterns through your body and can be managed through mobile App. 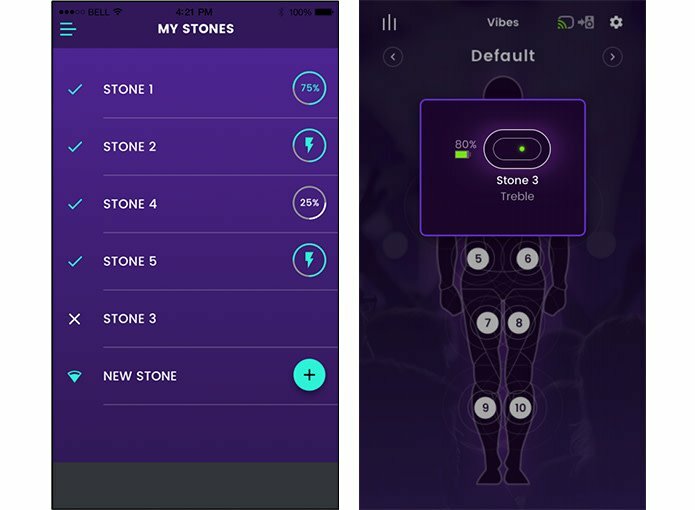 The dedicated BodyRocks App enables you to sync to multiple stones, control format of your music and spread it to the entire body through 40 stones connected to a system. It is iOS/Android compatible. Quickly connect via Bluetooth and enjoy the vibrations on the go. The app is designed with popular music formats such as Indie Rock, Electronic, Guitar Vibe, Chillout, Chill Wave and EDM. These stones can stick anywhere on your body. BodyRocks will be your one of the favorite gadgets with its IP68 rating and wireless charging.